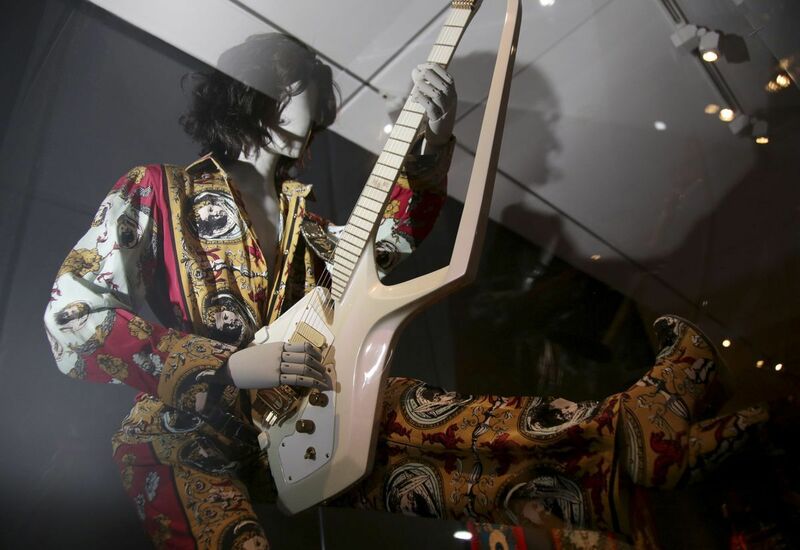 More than 130 instruments are available in the show, including those played and loved by the Beatles, Elvis Presley, Bruce Springsteen, the Rolling Stones, The Grateful Dead, Lady Gaga, Joan Jett, Metallica, Steve Miller, Page and other rock -and-roll greats. The collection ranges from 1939 to 2017. All the instruments have been borrowed, mostly by the musicians themselves, although Miller has promised to donate to Met his 1961 Les Paul TV Special Guitar, painted by surf burner Bob Cantrell.